Landr has emerged over the past year as a quick and easy way of making your own music match up to the loudness and impact of the tracks you hear on the radio. Previously only available via a Web interface, the service is now available as a Mac app. 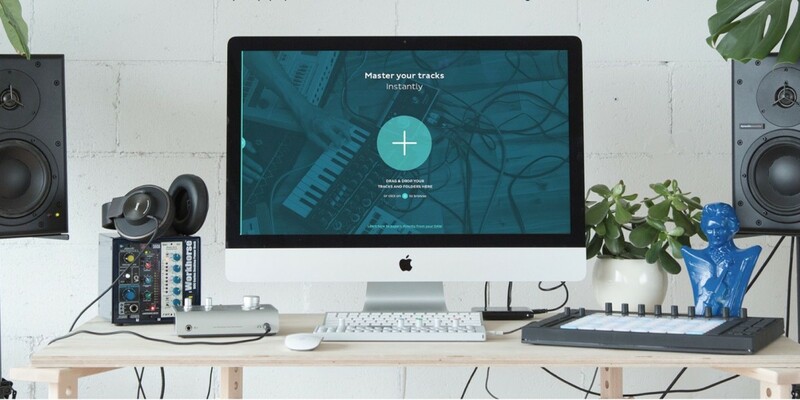 Landr analyzes the music you upload and creates a ‘mastered’ version – a process that previously required complicated software or hardware, as well as the knowledge to get the most out of it. While the Web-based version only allow people to upload individual tracks, the app adds bulk processing, and if you point the audio exporter in your digital audio workstation to a special Landr folder, the app will automatically master everything you produce. There’s also cloud backup, so you can access tracks that you’ve already mastered from any computer. While the app itself is a free download, all this processing is going to require a paid subscription. Landr costs between $6 and $39 per month when paid for monthly, or between $4 and $25 per month when you pay annually, depending on the resolution of audio you want. If you’re just using Landr as a quick ‘ear test,’ MP3s will probably be fine, but if you want final masters, you’re going to need .wavs. Unlimited 16-bit .wavs are included in the top-tier subscription, but for pro-quality 24-bit .wavs, you’ll have to pay an additional $19.99 per track. Landr isn’t for everyone – some people will always prefer the expertise and finely-tuned ear of a human mastering engineer – but if you’ve embraced automation, Landr is now easier than ever to use.